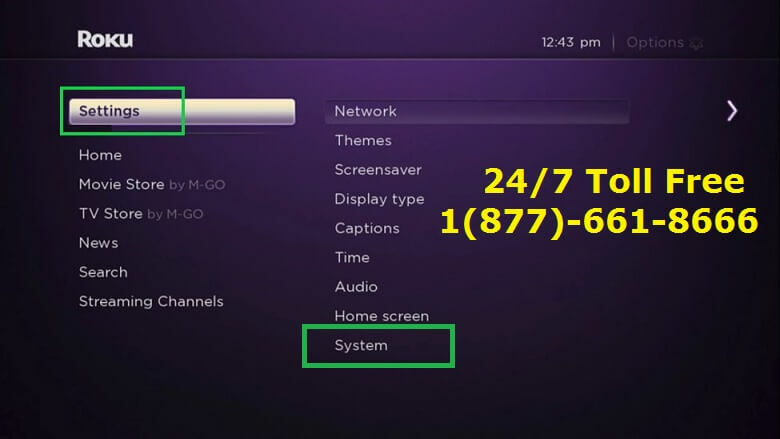 Blog » How to Fix Screen Freezing issue with Roku Device? From last few days I am having trouble with my Roku device, my screen had started freezing up. Though It doesn’t happens regularly but mostly when I go to the Roku from another sources. The solution which I had tried earlier was to unplug the device and then plugging it back in. But soon I realized that there must be a proper solution for this freezing issue. Here in this article, I am going to share the solution for the issue “How to fix screen freezing issue with Roku Device”. 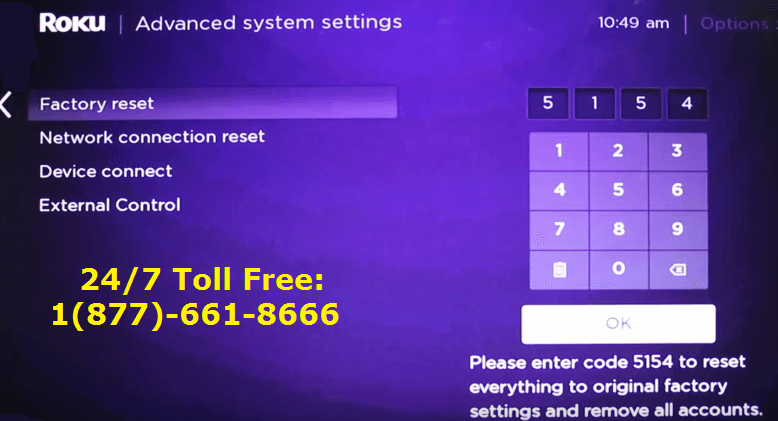 So in order to fix this screen freezing issue on your Roku device player permanently, you need to follow the steps in the same order as written. Roku is a wonderful device which has all the functions to replace your old TV cable. As it has said every good thing has some flaws too. 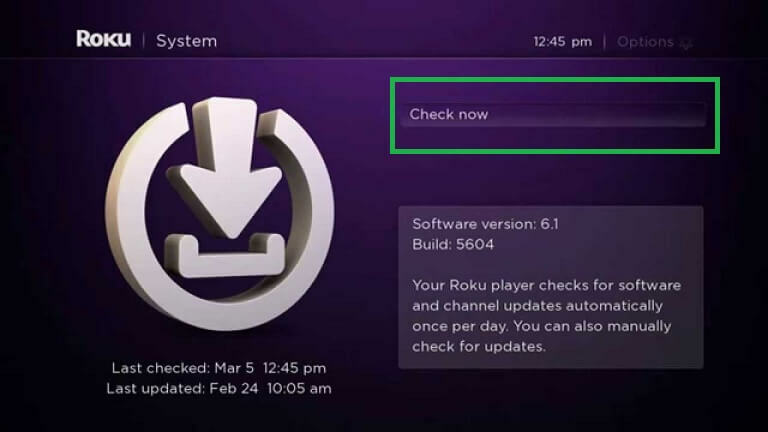 Some of the issues which a Roku customer faces too often are : how to setup roku device for the first time, screen freezing issue , Channel Streaming issue, problem in connection, sometimes Roku doesn’t start properly. So, in this post we will focus on screen freezing issue with roku device and how to fix it. 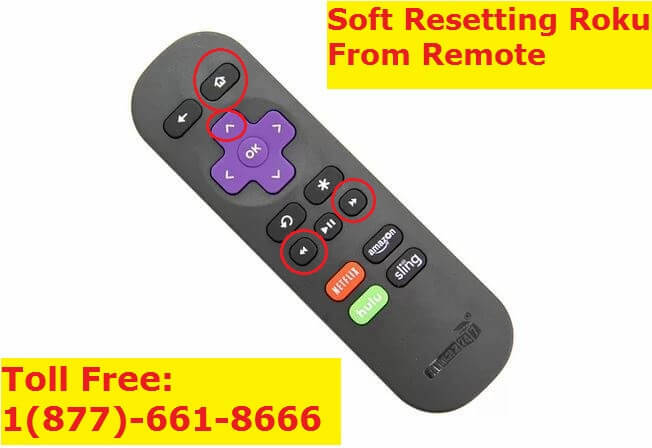 Whenever such issues arise, the best solution is to make sure the software on your Roku device is up to date and then reset the device(soft reset), if in case, it doesn’t work then just give your device a hard reset which means the factory setting reset. Press the Home Button on the Roku Remote. Select ‘System’ and then ‘System update’. Now the ‘System Update’ screen should show you the the current software and its build version with the date and time it was updated on. Select “Check Now” to start the Software update process. If there is any update available the Roku device will tell you about the new version and will download and install the update automatically. You need to wait untill the update is completed. Once the update process is completed, the Roku device will be restarted for the changes to take effect. Now you can play the streaming videos and see f the screen still freezes. You also need to make sure that you internet connection is reliable. #2. Make sure your Internet connection is reliable. Most of the times, issues similar to screen freezing or buffering too frequently, low voice and video quality or slow streaming occur due to unreliable internet connection. If your home WiFi is serving too many devices, i.c too many home devices are connected to the same router and all the devices are utilizing the internet bandwidth then the chances are your Roku device is not getting proper internet bandwidth that is required. In order to fix it, try disconnecting some of the devices from router for some time and then observe the video quality and see it works fine make sure you deploy a separate router for your Roku device. If your router is not connected with too many devices then try to connect your Roku to a different router. You can also try to connect it with your Phone’s Hotspot network temporarily to diagnose and see if the video streams better. Also make sure your router is not too far from Roku device if connected wirelessly, try connecting with an Ethernet cable in such a case. Fast forward 2 (>>) times. This method normally works on all the Roku models. You can try the above method also in case when the Roku device screen is frozen up on you. If you are using the new model you can also reset from the menus such as ultra,4 and premier. From the home screen select Settings>System>Power>System restart. First locate the reset button it should be on the bottom or on the back of the device. In some models a paper-clip may be required to press the reset button. Press the button and then release it after a second. This will automatically reset your device. If somehow none of the methods work for you then you might need to unplug the power cord for 30 seconds and then plug it back to do the power flea of Roku player device . Unplug all the cables except the power cord. Hold and press the reset button for 20 seconds, it should be on the bottom or on the back of the device. In some models a paper-clip may be required to press the reset button. While still holding the reset button, take off the power cable from the back of the Roku device. After going of the reset button, reconnect all the cords back to the unit. This will come out as the factory reset. This solution I had tried once when streaming Netflix my Roku device kept pausing. At that time I thought it was just a network issue but it kept freezing even when I used a USB stick and the media player app. I had realized that whenever the pause occur there was a kind of noise on the background TV image. It was the electrical noise coming from the AC power. When I shut down the AC unit ,it not only end the noise but it also stopped the pauses. So I always recommend to buy a good quality surge suppressor and it will also stop the freezing issue. 2. You can also try by disabling your screensaver, and when “idle” instead of leaving it on the Home screen use the Settings screen. This might not work for you, but it costs nothing to try it. And, timely unplugging an electronic device is anyway not a bad idea. I hope the above article on “screen freezing issue with Roku device” helped you fix the problem. 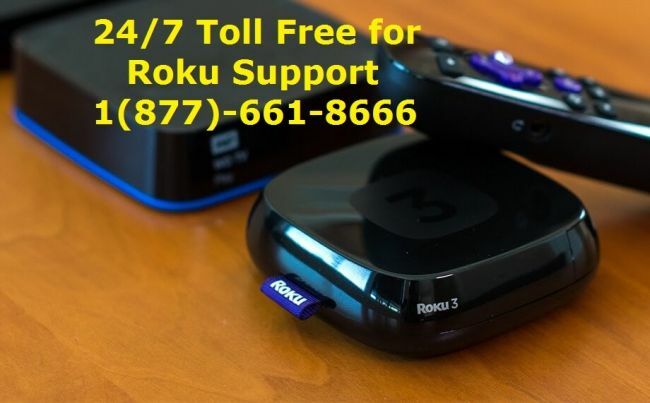 In case you have tried all the above methods and still the issue persists or you are unable to do any of the troubleshooting steps then you can contact Roku official support or our dedicated Roku support helpline number. We offer 24/7 assistance and free diagnosis of your Home devices by most pleasant and experienced representatives. How to Fix Horizontal Banding issue in Print from Epson Printer?